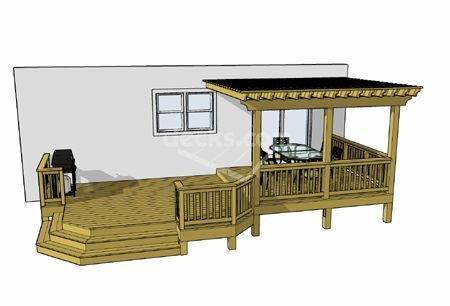 This 2 level deck features a 12' x 12' top deck completely covered by a decorative pergola. 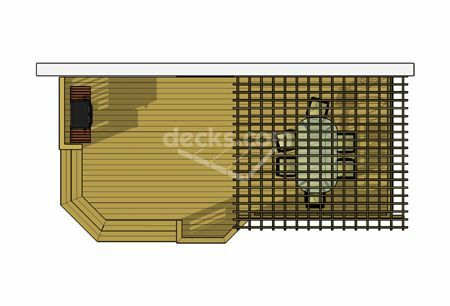 The 16' x 14' bottom deck design casually introduces a grilling area and stepped back cascading stairs into the fold. Notice how the stairs create a formal and inviting entrance that is neatly positioned within the deck frame. 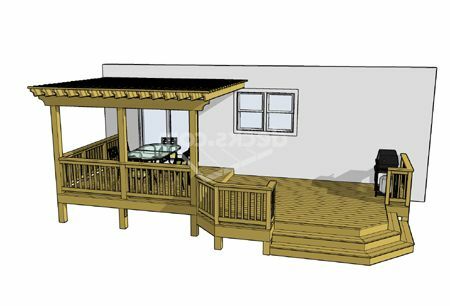 This plan comes with a pergola and house attachment detail.